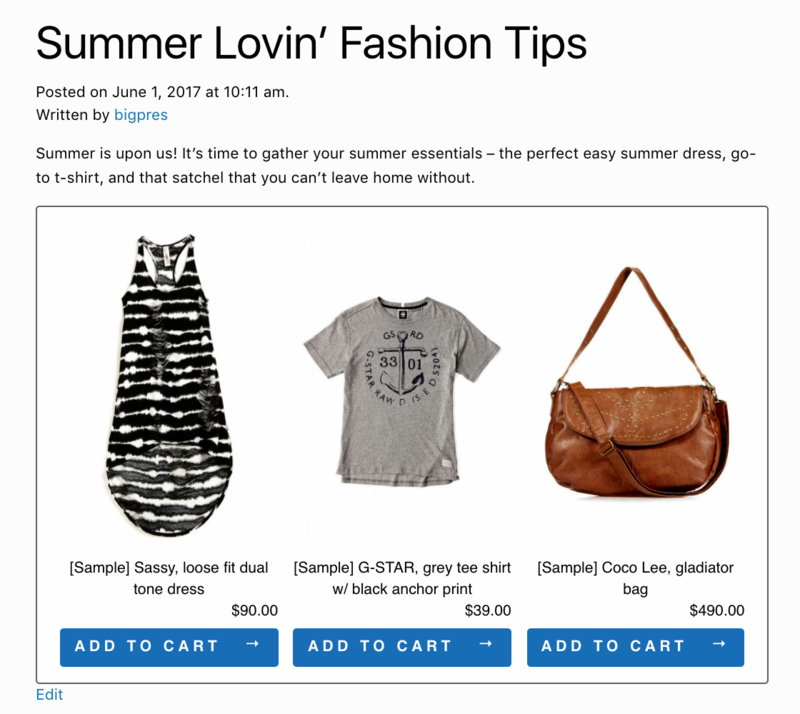 Introducing BigPr.es, the first premium WordPress plugin that allows you to easily showcase merchandise from your BigCommerce store directly into your WordPress blog, driving passive blog traffic into active shopping traffic. Welcome to BigCommerce WordPress integration. Screen grab...Copy and paste....Export, import...You’ve been there. Whatever it takes to feature your products in your blog, you’ve done it. Or maybe you haven’t. Maybe this process has been so cumbersome that you’ve nearly stopped featuring product links in your blog altogether. “It’s about time somebody came up with an easy way to feature my BigCommerce catalog on my blog,” you’ve told yourself. Well, that time has come. Introducing BigPr.es, the first Premium WordPress plugin that allows you to easily showcase merchandise from your BigCommerce store directly onto your WordPress blog, driving passive blog traffic to active shopping traffic. After a simple installation process, your BigCommerce store will be available to drop into your blog directly from WordPress, allowing you to spend more time creating stellar content and less time obtaining the right image for your blog. Welcome to BigCommerce WordPress integration. 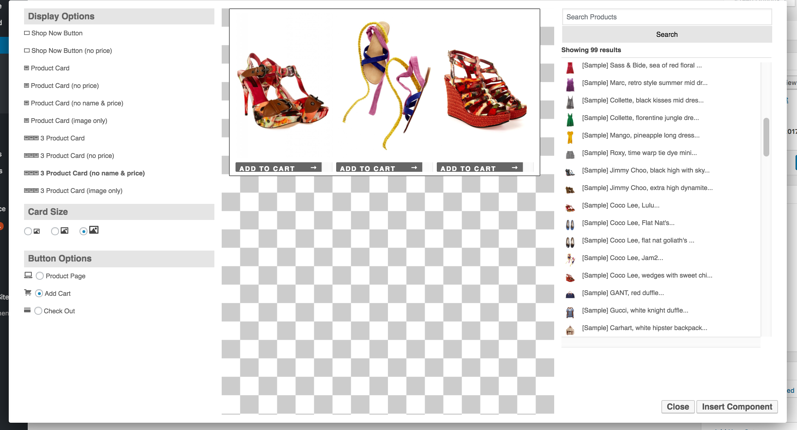 Because your entire BigCommerce catalog is searchable through the BigPr.es plug-in, there is no copy and pasting, screen grabbing, or importing images. All of those steps are eliminated with a simple-click insert within WordPress post editor. 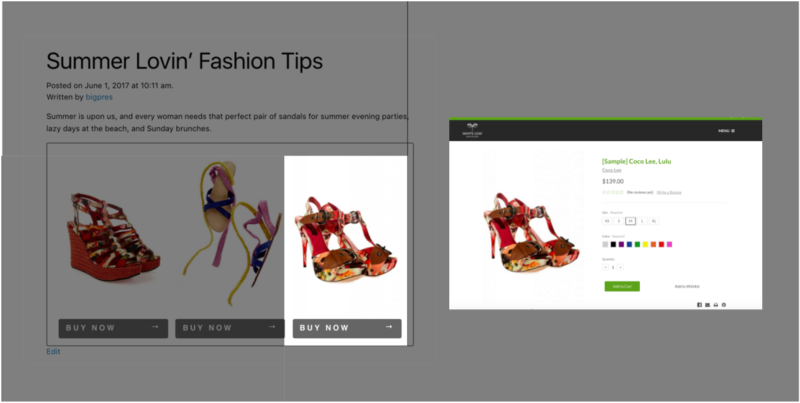 Using the BigPr.es integration, the same product images in your store are featured in your blog, so scent is maintained as the user navigates from blog to store, increasing the likelihood of conversion. With ten different layout options to feature products, you can find a layout that best suits your content and conversion needs in one easy step. 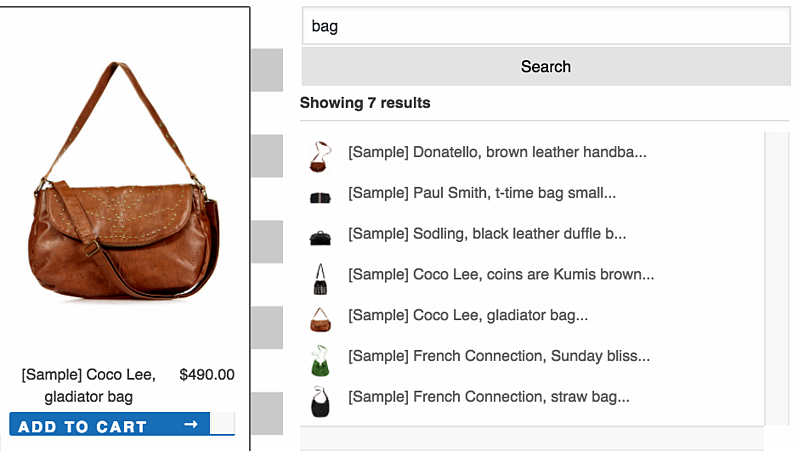 With your entire store at your fingertips, you only need to manage your catalog in one place – BigCommerce. Through BigPr.es, the product catalog updates automatically, so you can have peace of mind knowing that the products you see within the search results are accurate and up to date. Now that there is an easy way to capitalize on your blog traffic, think of all the possibilities to marry content and commerce! BigPr.es is easy to install and at $399 for 12 months, is well worth the investment. The best part is, there is a 30-day money back guarantee, so there’s no risk. To find out more about BigPr.es, head to www.bigpr.es. You can also find out more about Groove Commerce's credentials as an Elite BigCommerce Partner Agency.